Desiree McCook has lived in Edmonton all her life. Des has been painting and drawing at the Nina for several years, and often prefers to work with pastels. 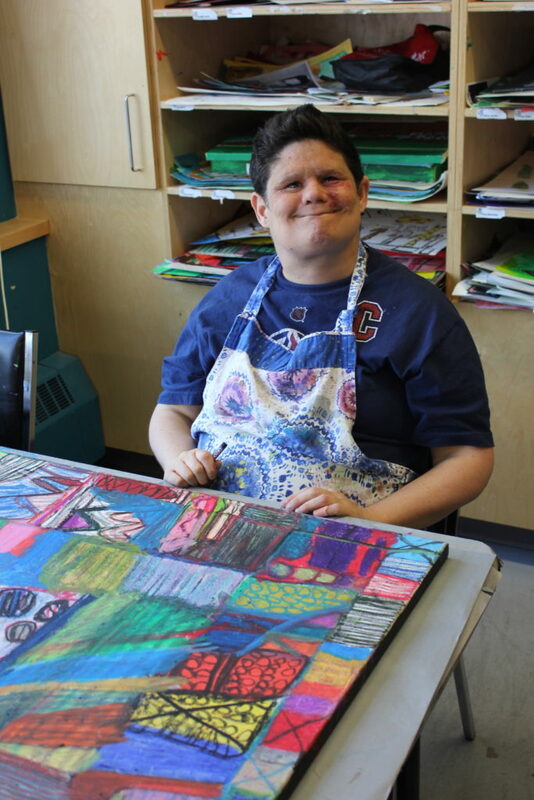 In 2013, her own show, “It’s a Whale,” was exhibited in the Stollery Gallery. Her subjects are whales, dolphins, fish and sea monsters. “I liked people coming to visit and showing people my art. I like to get paid when I do my art.” She sold just about everything in the show and hopes to have another show in the future.